At first glance, the Focal Sphear looks quite nice. For starters, the packaging looks solid and comes with some extras. These include a nice selection of silicone and memory foam tips in various sizes to help users find an ideal fit. Focal also throws in an aircraft adapter for travelers with built-in double 3.5 millimeter jacks for added compatibility. Rounding out the accouterments is a carrying case for easier storage on the go. The build quality of the headphone itself looks quite solid, featuring an exaggerated round body design with a stainless steel ring and grill that makes a nice contrast with the glossy black finish of the earphone’s acoustic chamber. It’s got some nice weight to it that doesn’t feel cheap. Underneath that are 10.8-millimeter electrodynamic drivers married to a bass-reflex system designed to deliver some low-end punch. The cables, meanwhile, stick with rubber casings, which are typically not as tangle-resistant as the fabric ones seen in other headphones though Focal made the Sphear’s just a little thicker. They also come with a built-in microphone that works well for making calls when paired with a smartphone as well as a remote for compatible devices. In addition to taking and ending calls, the remote lets you play, pause and skip tracks. The remote, however, does not come with an option for adjusting volume, which is admittedly inconvenient. Rounding out the build component is an L-shaped, 45-degree connector. The decision to go with a gun-shaped 3.5-millimeter connector is a plus as it helps prevent cable fraying and damage at the point where the connector body meets the cable. 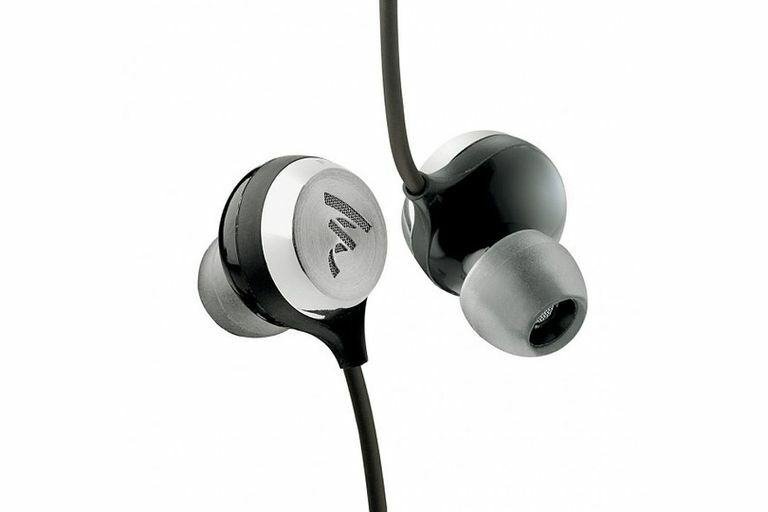 The fit is quite comfortable although not as sticky as competitors such as the Soul Electronics Pulse Fitness or the Audio Technica ATH-CKX5iS earphones, which come with nubs and molds for a tighter grip when exercising. In fact, the added weight makes it easier for the earphones to pop out so you’ll want to make sure you have the right buds for your ear installed in there. Although solid design and build quality are great to have, the sound is always the main standard for any audio device. For its part, the Sphear’s audio profile sounds clean and precise but has some qualities that won’t make it ideal for everyone. Bass can be described as solid but not overpowering, adding enough warmth to the Sphear’s audio notes. It’s probably not strong enough for all-out bass heads but should be good for most folks who prefer a good amount of low end that does not make their head rattle. The bass also sounds good even on the stock iPhone music app without any EQ adjustment. The mids, on the other hand, tend to get overwhelmed by the bass and most especially the highs. People’s audio preferences are different, of course, but we find the Sphear’s highs to be a bit too strong. The result is an audio note that can be quite piercing, sometimes painfully so at higher volumes. We had to use an equalizer to tame it down as it was a bit too much when using flat audio settings. Others might prefer the sharper highs, though. The Focal Sphear are $149 earbud-style headphones aimed at audiophiles, featuring an excellent build quality that comes with some premium touches. The fit is comfortable and the Sphear comes with a nice selection of tips, though it’s still not as secure as earphones designed for sports. The audio profile also features warm bass notes but leans heavily toward the highs, so you might need an equalizer to help tame it a bit. All in all, the sound is solid but it also won’t be for everybody, particularly folks who don’t want over-emphasized audio on the high end of the spectrum.